WE ARE MOVING AND EXPANDING PRODUCTION! You may have seen on social media recently our exciting announcement stating we are moving the brewery to a new and much better site on Hardley Industrial Estate. With this move, we are also expanding production straight away. Work began this week in our new units in Hardley and our project plan states the building and installation works will take until the end of March at least, assuming everything goes to plan (does that ever happen?!) Over the course of this exciting Vibrant expansion and relocation I shall be blogging the progress up until the point where the new brewery is up and running. Unfortunately I did not do this when I moved out of my garage at home late 2013 to take the brewery full time and “give it a go”. This time will be different. Once the major building work is complete we have the task of moving our existing brewery equipment over from our current site and installing this in to position. How we do this, is work in progress, and the aim to have as little brewing downtime as possible. We are brewing flat out right now to factor this in. We will be be putting a big focus on the taproom and even though the opening times have not yet been decided we will certainly be open a lot more than now. We want to make this an attractive place to visit and enjoy our beer and this will take time to develop. We finally have space to focus more on our barrel ageing projects and as you may know this is something we are extremely passionate about. You can look forwards to the likes of Reggae Oktober once again. With this new space we also have quite a large yard outside and this will allow us to hold a lot more events at the brewery. Unit 5: Storage, packaging area and laboratory. 2 levels. Unit 6: The brewery. We are investing heavily in this unit to make it wet area suitable for brewery use. e.g. a tiled sloping floor with hygienic drains and waterproof walls. We have 2 x 6000L fermenters and a new 8000L hot liquor tank already built and ready for delivery as soon as the floor is ready. Our annual Christmas Party is back! 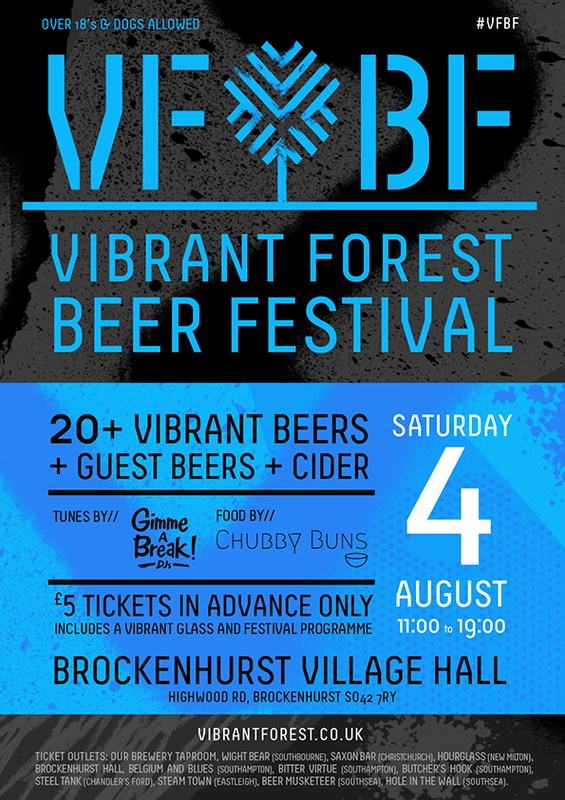 Shoddy music, tidy food, and splendid Vibrant Forest Beers! Expect a bunch of new releases, as well as old favourites - it's always a solid event. Free entry, child friendly, dog super-friendly. 11am to 7pm at the brewery.